High quality fabric sheets for use with inkjet printers. Brilliant images with crisp detail and superior washability. 200 thread count 100% pima cotton. 50 sheets per package. 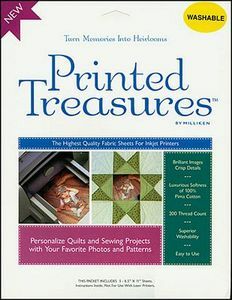 Dritz 7219A Printed Treasures 5 Transfer Sheets 8.5x11"